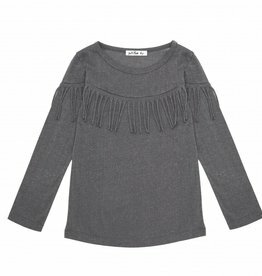 Longsleeve top in a subtle glitter grey, with fringes. Glitter grey dress with fringes. LAST SIZE 6Y!